Dicks Sporting Goods (NYSE:DKS) announced that the company is having its own National Signing Day two Wednesdays from now as the company seeks to ramp up holiday efforts with thousands of new workers as November approaches. The company said that its National Signing Day will take place on October 24 and the goal is to ensure that the company is well-positioned for the holiday season with seasonal workers around the nation. All in all, the athletics products retailer said it hopes to hire 5,000 employees on the day. Dicks Sporting Goods said that it is hoping for exceptional applications who are passionate about sports and will use their own personal experiences and in-depth knowledge on multiple sports to guide, inform, equip and inspire the company’s customers. The store says that it will offer its “teammates” competitive pay, a store discount of up to 25% off, as well as an opportunity to work for the best sports and outdoor brands. DKS stock is up about 0.8% on Tuesday. 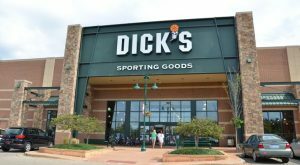 Article printed from InvestorPlace Media, https://investorplace.com/2018/10/dicks-sporting-goods-hiring-dks/.